Appliance Repair Parts-Self Serve or Full Service? Not so awfully long ago, when you pulled into a gas station, the attendant would come out, stick the gas nozzle in your car, flip open the hood to check the oil and then wash your windshield. Some gas stations still offer you this service at the full-serve pump. Rarely do you see people there because let’s face it, most people don’t feel it necessary to have someone else pump their gas at a higher price than they can pump it themselves. Perhaps you might not save that much in a single stop, but over a year, the savings could add up to much more than you would think. As appliances have become more well designed, as parts have become easier to find, as service calls have become more expensive and Youtube videos are now a dime a dozen, many are choosing to diagnose their appliance problems and fix them themselves. As with full-service gasoline options, you may not save a lot of money with one repair, but over the course of a year, the savings can be substantial. With a few tools and some general knowledge, you may be able to avoid having to call a service provider to your house to fix your appliance. Most repairs are going to require that you have an ohm-meter, a Phillips and a straight screwdriver, adjustable wrench pliers, and perhaps a drop light for those appliances that you can’t get out into full light. Make sure you have make and model numbers handy when ordering parts and be careful when moving or dismantling any appliance as there may be sharp corners or metal edges. Also, be sure to unplug the appliance and let it cool down before touching it. 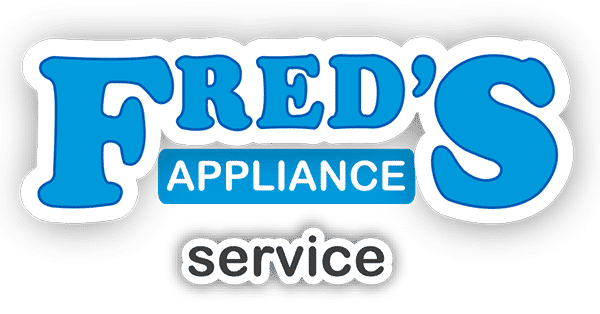 If you know what part you need to replace, call a reputable appliance repair parts store like Fred’s Appliance Service and order your part. When you pick up your part if you have any questions, take the time to ask questions while you’re still in the store to insure the greatest chance of success. As many will attest, some times you just bite off more than you can chew or you get stuck half way through the job. In that case, never fear! 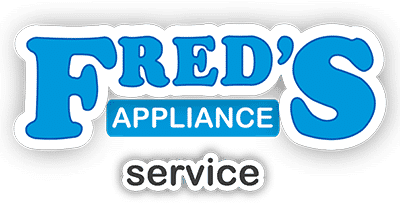 One of Fred’s Appliance repairmen can provide you with the assistance that you need in a timely, professional manner. 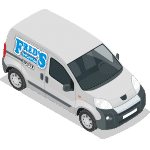 To see if Fred’s carries the parts you need, contact us today. We can help you find everything you need for self-service repairs and provide further assistance as well if you find you need it.